The Riigikogu passed the Act on Amendments to the Riigikogu Election Act and Other Acts, which provides for the establishment of the State Electoral Office which will organise elections, and extends the possibilities of persons to report election violations. 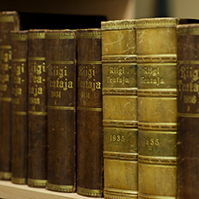 The Riigikogu also passed the Act on making minutes of committee sittings more detailed. The Riigikogu passed the Act on Amendments to the Riigikogu Election Act and Other Acts (160 SE), initiated by the Constitutional Committee, which updates the procedure for conducting, organisation and supervision of elections. 59 members of the Riigikogu voted in favour of the Act, 29 were against, and there were 2 abstentions. The Act updates the procedure for conducting, organisation and supervision of elections. 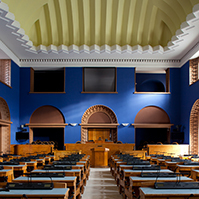 According to the Act, the State Electoral Office, which will be established as a separate structural unit of the Chancellery of the Riigikogu on the basis of the Elections Department of the Chancellery and will be independent in the performance of the functions arising from Acts concerning elections, will be the elections manager at the state level. The National Electoral Committee will remain responsible for ensuring the fairness and lawfulness of the elections, and it will ascertain the election results, exercise supervision over elections managers, and review complaints. According to the Act, the current three-stage system for reviewing election complaints is replaced with a two-stage system, and the possibilities of persons to report election violations are extended. A person will have the right to submit a notice about deficiencies in electoral management to the State Electoral Office in a free-form manner. The application is intended as an addition to complaint, enabling a person to address the organiser of the elections to solve a problem pursuant to the simplified procedure, and to have a quick solution to the problem. At county level, the county head of elections will organise the elections, instead of the county electoral committee. Mihhail Stalnuhhin, who took the floor on behalf of the Centre Party Faction in the debate, pointed out the reasons why the Centre Party Faction did not support this Act. He mentioned electronic voting, and the head of elections who can remove a member of a division committee who has violated the law or an order of the county head of elections from performance of the functions of the division committee. Jüri Adams, who spoke on behalf of the Free Party Faction, drew attention to the fact that four Acts concerning elections are in force in Estonia – the Riigikogu Election Act, the Local Government Council Election Act, the European Parliament Election Act and the Referendum Act. As there are very many overlapping parts in them, he expressed an opinion that maybe it is about time to consolidate them into a single Act. Mart Nutt, who spoke on behalf of the Pro Patria and Res Publica Union Faction, stressed that e-voting is not the topic of this Bill, but it is first of all a set of technical amendments. 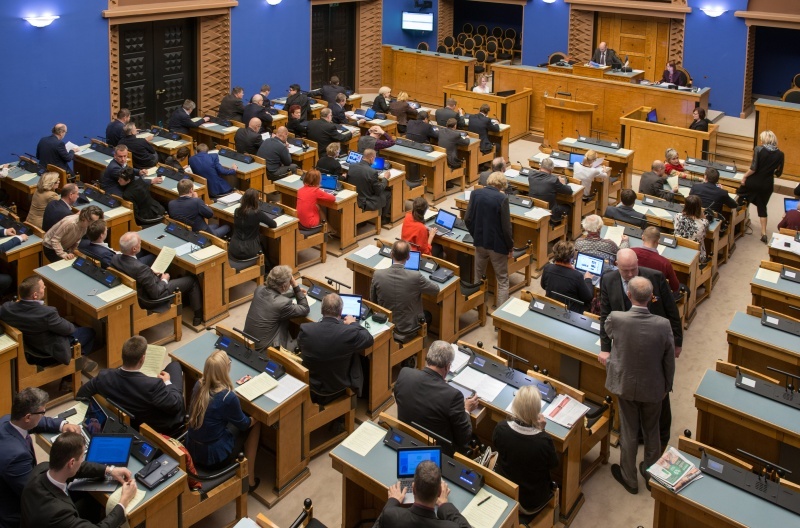 The Riigikogu passed with 61 votes in favour and 27 votes against the Act on Amendments to the Riigikogu Rules of Procedure and Internal Rules Act (175 SE), initiated by the Constitutional Committee, which provides that the minutes of committee sittings have to be more detailed. According to the Act, the minutes of a committee sitting must reflect in summary form the course of the committee sitting, and the development of the decisions and positions adopted. The positions of the people who take the floor at the sitting are reported by name, and the results of voting are also entered in the minutes by name. The Act also specified the involvement of stakeholders in the work of committees. In the future, a committee will involve in the discussions on a Bill the stakeholders concerned who had been involved in the preparation of the Bill and who wish to participate in the discussion on the Bill. The aim of the amendment is to make the work of the Riigikogu more inclusive and open. During the debate, Peeter Ernits took the floor on behalf of the Centre Party Faction. He did not support the Bill. Krista Aru took the floor on behalf of the Free Party Faction and said that this amendment is the first step, and after that the Riigikogu should consider very seriously a more thorough amendment of the Riigikogu Rules of Procedure and Internal Rules Act, and the rules of procedure. Eiki Nestor, who spoke on behalf of the Social Democratic Party, expressed his delight that the non-existent requirements for minutes that have been in force since 2004 would be set out by law. He added that the issue of recordings would definitely be taken up again. 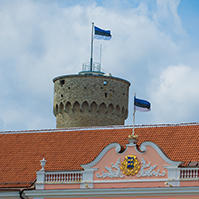 The Bill on Amendments to the Penal Code and Amendments to Other Associated Acts which Increases Fine Unit (146 SE), initiated by the Government, was at the third reading in the Riigikogu. With 50 votes in favour and 42 against, the Bill was not passed. 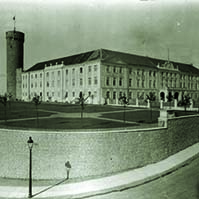 The support of at least 51 members of the Riigikogu would have been needed to pass the Bill. According to the Bill, the amount of the fine unit that is the basis for imposing fines for misdemeanour in the Penal Code would have been increased from four euro to eight euro. The amount of fine unit has practically remained unchanged since 1 October 2001. When the euro was adopted in 2011, the unit of the fine for misdemeanour was rounded from EUR 3.8 to EUR 4. In connection with the rise of the fine unit, the rate of the cautionary fine for speeding would also have changed. Five euro would be the basis for calculation instead of the current three euro. In addition, amendments were provided that would somewhat alleviate the increasing of the amount of fine unit. First, upon imposition of a fine on a minor, a half of the maximum punishment permitted provided for for adults in the chapters concerning liability in the relevant Acts will be taken as the basis. Second, the term for voluntary payment of a fine will be extended to 45 days instead of the current 15 days. Third, the Bill will decrease the amount of the lowest possible fine from EUR 12 to EUR 8. Before voting, Toomas Vitsut took the floor on behalf of the Centre Party Faction, Martin Helme on behalf of the Conservative People’s Party Faction, Külliki Kübarsepp on behalf of the Free Party Faction, and Andres Anvelt on behalf of the Social Democratic Party Faction during the debate. Vitsut pointed out the shortcomings because of which the Centre Party Faction did not support the amendments to the Penal Code. He pointed out that fines cannot be raised abruptly overnight; they should have been raised gradually, year-by-year, in correspondence with the price rise and the growth of salaries. Helme said that, after this Act would be passed, the police would be made an authority collecting money. Kübarsepp said that the Free Party Faction holds the position that it is an unprepared Bill. She said that the Free Party Faction does not argue against reviewing the fines policy and making relevant changes from time to time, but it cannot be done with leaps that are too demanding for the people. Anvelt said that this Bill is part of the punishment policy, and not fiscal policy. He noted that the minimum amount of fine is EUR 12, i.e. three units, in the current Act today. With the passing of the Bill, it will fall to one unit, that is, EUR 8. He added that the Bill will create greater possibilities to impose the minimum amount of fine, and the term for voluntary payment of a fine will be extended from 15 days to 45 days. Upon the entry into force of the Act, it will also be possible to pay a fine in instalments within a year. The Minister of Justice Urmas Reinsalu also took the floor during the debate. He stressed that, in the punishment policy, revenues are not the aim for the state. He said that the Estonian misdemeanour system has been set up so that only the maximum figures, that are applied under extraordinary circumstances, have been established. He pointed out as an example that, last year, the maximum rate was applied in 173 cases, and the minimum rate was applied in 8000 cases. 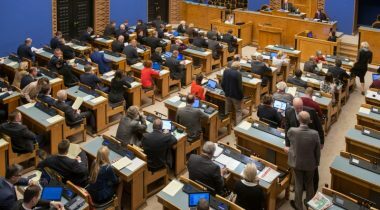 The Riigikogu passed with 78 votes in favour and one abstention the Act on Amendments to the Act on Narcotic Drugs and Psychotropic Substances and Precursors thereof (170 SE), initiated by the Government. According to it, narcotic drugs and psychotropic substances have to be operatively included in the schedule of prohibited narcotic drugs and psychotropic substances. The Act provides for a possibility for the inclusion of new psychoactive substances in the schedule of narcotic drugs and psychotropic substances by groups of substances. A group of substances includes substances with a similar general structural formula. Under current law, new psychoactive substances are included in the schedule of narcotic drugs and psychotropic substances one-by-one on the proposal of the State Agency of Medicines. The procedure of inclusion in the schedule takes two months at a minimum which means that often a substance is included in the schedule only later. Inclusion of substances in schedules by groups will allow to quickly and efficiently restrict the spread and handling of new psychoactive substances. The Riigikogu passed with 70 votes in favour the Act on the Ratification of the Agreement between the Republic of Estonia and Australia on Social Security (180 SE), initiated by the Government. The agreement on social security ensures social protection for people in the event of cross-border movement. The main target group of the agreement is old-age pensioners who live in Estonia or Australia and whose pension is paid for by the country of habitual residence where they earned their pension. The agreement will ensure that employees do not lose the insurance periods completed in the country of a Contracting Party when returning from there. The agreement will also enable employers to send employees to work temporarily in the country of the other Contracting Party, avoiding formation of double coverage for workers. The Bill on Amendments to the Value Added Tax Act (192 SE), initiated by the Government, which will change the procedure of application of value added tax incentives on European Union institutions and the armed forces of NATO, and the conditions for declaration of value added tax on import. According to the Bill, instead of the refund of value added tax, the regulation of exemption from value added tax will be established for EU institutions and the armed forces of another NATO Member State, taking part in the common defence effort, and military headquarters. Two motions to amend the Bill had been submitted during the proceedings. One of them concerns the procedure for the recalculation of input VAT upon transfer of fixed assets, and the other amends the provision concerning the date of entry into force, which will be 1 July instead of 1 May. The Bill on Amendments to the Income Tax Act (184 SE), initiated by the Government, which will transpose amendments to the European Union directive on the taxation of parent companies and subsidiaries, which will preclude abuse of profit distributions of parent companies and subsidiaries, and the double non-taxation in the case of hybrid loans. An amendment concerning the provision on the entry into force was made to the Bill. The amendment will bring the time of the entry into force of provisions affecting the cross-border optimisation of taxes of companies into conformity with the general rule provided for in the Taxation Act to the effect that the passing and the entry into force of an amendment to an Act concerning a tax must be separated by a period of at least six months. The Bill on Amendments to the Electronic Communications Act and the Product Conformity Act (130 SE), initiated by the Government, which will bring the regulation of radio equipment into conformity with the new EU radio communication directive. The amendments are connected with the extension of the definition of radio equipment, harmonisation of product requirements, and amendment of the essential requirements for radio equipment. In the future, the new definition of radio equipment will cover all radio transmitting and receiving equipment that are in civil use. In the future, the definition will include also radio receiving equipment (e.g. television receiver and radio receiver), as well as electronic equipment with a radio module (e.g. vacuum cleaners and refrigerators if they are radio controlled). Fixed line terminal equipment, e.g. landline telephones and fax machines, will no longer fall under the scope of the radio equipment directive. These amendments will have to be taken into account in particular by radio equipment manufacturers, their authorised representatives, importers and distributors. For the consumer, this means that, as new equipment will have to meet the requirements of the regulation, particularly the receiving characteristics and reliability of the equipment that did not have to meet the regulation of radio equipment earlier will improve. It is also important for the consumer that more specific requirements will be set for manufacturers with a view to improve the compatibility of different accessories. For example, it will be possible to set a requirement for the manufacturer that a mobile phone charger should be suitable for charging a tablet and vice versa. This will simplify the use of equipment for consumers and save the environment. Likewise, the directive sets out requirements for the compatibility of radio equipment and the software used in it. Five motions to amend the Bill had been submitted, concerning, among other things, radio licences of radio amateurs and owners of ship or aircraft who are private persons. Under the Electronic Communications Act, the establishment of a new database is provided. 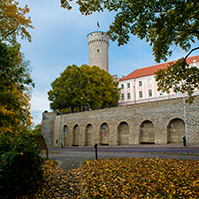 A new information environment will allow an overview of the locations of electronic communications networks in Estonia on address basis, the use thereof, and the existing resource. The information environment will pool into a single database the data of households fixed in Estonia which have an Internet connection via the mobile communications service, and the technical data of the Internet connection provided. Through the database, users will have the possibility to view if Internet connection is available on a particular address, and the parameters and the data communication speeds, and which communications undertakings offer the data communication service on that address. The database will also enable to estimate the extent of a market barrier of the availability of the Internet connection. Other amendments made to the Bill mostly concern the rules of legislative drafting. The Bill on Amendments to the Aviation Act (161 SE), initiated by the Government, which will improve the level of aviation safety and harmonise national law with European Union legislation. At the European Union level, the reporting of occurrences is regulated by a relevant EU Regulation. The entry into force of this EU Regulation requires amendments and specifications to be made to the Aviation Act. Necessary requirements will be established for ensuring an efficient occurrence reporting system at all levels. Competent authorities will be designated, who will have to be notified of occurrences. The Civil Aviation Administration and the Safety Investigation Bureau will continue to be the competent authorities. The procedure for the notification of the national competent authorities and for the transmission of the relevant data will be specified. The Bill will change the period of notification of an occurrence. Under the current Act, an occurrence must be reported within 24 hours but, under the Bill, within 72 hours. Compared to the current reporting system, the Regulation also sets out the requirement of the reporter to submit a preliminary analysis to the Civil Aviation Administration within one month after the occurrence and, within three months, a final report that would point out safety risks and describe the action implemented after that. Two motions to amend the Bill had been submitted. The first of them concerns the fact that, in providing the activities of the committee for the management of the use of airspace, members of the committee are listed, and participation of a representative of the Ministry of the Interior in the work of committee was added. The other motion to amend concerned wording. The Bill on Amendments to the Courts Act and Other Associated Acts (203 SE), initiated by the Government. The Bill will change the procedure for becoming a judge in order to make finding new judges more flexible. It is also intended to increase the horizontal movement between regulated legal fields so that judges, prosecutors and sworn advocates will have the possibility to become members of other regulated legal fields pursuant to the simplified procedure, without taking an examination testing legal knowledge. During the debate, representative of the Free Party Faction Jüri Adams took the floor and gave a brief retrospect of the problem that has developed, and found that the problem of the “closed boxes” of justice officials is fairly serious. The Bill on Amendments to the Food Act and the Act on Amendments to the Food Act (198 SE), initiated by the Government, which will specify the obligation to notify of the placing on the market of food for particular nutritional uses. With the amendment, the obligation to notify of all food for particular nutritional uses will be replaced with an obligation to notify only of food for particular nutritional uses provided for by the implementing acts of the European Commission. For the present, such food includes infant formula and follow-on formula, and food for special medical purposes. The Act is planned to enter into force on 20 July this year. As of the abovementioned date, the Veterinary and Food Board will not have to be notified of gluten-free and lactose-free food, and food intended for sportspeople. Also, operators of food for particular nutritional uses will no longer be required to notify the Veterinary and Food Board whether the food for particular nutritional uses has already been placed on the market of another Member State earlier. The amendment will reduce the administrative burden of the persons responsible for placing on the market of food for particular nutritional uses. The regulation will concern circa 30 persons responsible for placing on the market of food for particular nutritional uses. The Draft Resolution of the Riigikogu “The Granting of a Loan to the European Single Resolution Board” (197 OE), submitted by the Government, which provides for allowing a loan to the European Single Resolution Board. The loan will serve the purpose of ensuring financial stability and minimising the direct cost arising from a possible banking crisis to taxpayer. Representative of the Conservative People’s Party Faction Martin Helme and representative of the Social Democratic Party Faction Kalvi Kõva took the floor during the debate. The Conservative People’s Party Faction moved to reject the Bill at the first reading. With 9 votes in favour, 33 against and one abstention, the motion was not supported. The Bill on Amendments to the State Pension Insurance Act and Amendments to Other Associated Acts (199 SE), initiated by the Government, which will amend the State Pension Insurance Act and the special Acts regulating pensions with the aim of extending the payment of state pensions with certain restrictions to all foreign states. 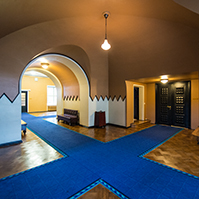 Under the current national law, a person has to reside in Estonia to receive a state pension. At present, state pensions are paid outside Estonia only in the member states of the European Union and the European Free Trade Association on the basis of European Union Regulations, and in countries with whom Estonia has a bilateral agreement on social security. The Bill will eliminate such restriction on place of residence, and will thereby extend the rights of persons. The main aim of the Bill is to ensure pension rights with certain restrictions also to persons who have moved outside Estonia, upon realisation of old-age risk or the risk of loss of a provider. The sitting ended at 6.36 p.m.